Canada is very late and very laconically beginning to consider the implications of the Quebec election on Oct. 1. If, on Monday night, as polls indicate, 40 per cent of Quebecers have voted for overtly separatist parties (Québec solidaire and the Parti Québécois) and 30 per cent for a party that declines to say separation is undesirable, only that it will not hold a referendum (Coalition Avenir Québec, or CAQ), no one should imagine that this is not a threat to this country. I have written here before that Canada would regret the refusal of Stephen Harper and Justin Trudeau to discuss methods of reintegrating Quebec into the Constitution, which would not have solved the problem permanently, but would have greatly strengthened federalism. The issue of separatism appeared to die, but that is the nature of Quebec nationalism: it never dies, it just becomes comatose for a time. And though almost no one yet describes this Quebec election in these terms, the governing Liberals of Premier Philippe Couillard seem to be about even at 30 per cent with François Legault's moderate left, constitutionally ambiguous CAQ. Legault was long an explicit separatist, and has not renounced that view (and his wife, Isabelle Brais, thinks English Canada has no culture and should have no status in Quebec). The Quebec Liberal party, like the British Columbia Liberal party, is really a Liberal-Conservative coalition. It governed very efficiently these past four years, but became an ecologically obsessed and eccentric regime. While it retains the support of most of the non-French, it is now pulling only a very unfeasible 17 per cent of the French Quebec vote. 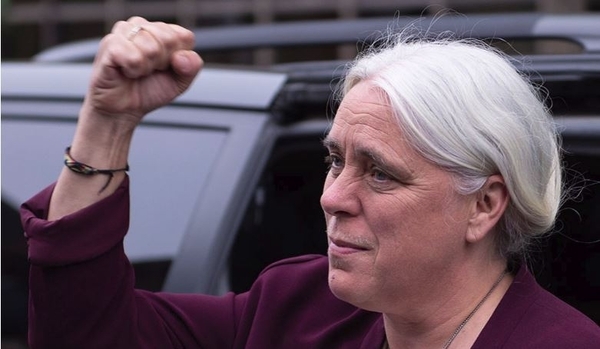 Though the CAQ has been slipping, it has been losing ground to Québec solidaire, a rabidly separatist party that proposes immediate, unconditional secession. It is led by a declared Marxist who opposes the right of the State of Israel to exist, and, astonishingly, it may hold the balance of power in the National Assembly. It threatens to pass the original separatist PQ of former premiers René Lévesque, Jacques Parizeau and Lucien Bouchard, which hasn't changed its tune but is whistling it more softly. The independence of Quebec has not been much raised in the campaign, but the implications of the emerging voting patterns assure that it will re-emerge. The old rule of thumb was that the Quebec vote was divided into five approximately equal blocs: non-French, French Liberal federalists, French Conservative federalists, nationalists and a floating vote. The Liberals have almost always had virtually all the first two blocs, and always had the advantage. Under the Union Nationale of Maurice Duplessis and Daniel Johnson, the conservatives and nationalists voted together, a coalition requiring artistic skill to assemble and maintain, and they won six elections between 1936 and 1966. Lévesque, Parizeau and Bouchard got the nationalists, the floaters and a sprinkling of conservatives and Liberals and won four elections between 1976 and 1998. During the past two Quebec elections, and the polls suggest during this one, the nationalists appear to have grown to 35 to 40 per cent and the French-speaking Liberals and Conservatives to have been divided between the Liberals and CAQ. Most Canadians, no matter what happens, will not sit on the edges of their chairs again and worry about what Quebec wants or does, and that province's importance to Canada has certainly diminished since the rise of the explicit separatist movement in the mid-1970s. At that time, Quebec had almost 30 per cent of Canada's population (22 per cent now), and the whole idea of that province seeking sovereignty with continued association was a radical challenge to the serene and noiseless tenor of Canadian political continuity. It was widely assumed to be an attempt by the Quebec nationalists to eat their cake and still retain it — to continue to receive transfer payments, or at least the benefit of a common currency and trading area with Canada, while exchanging embassies with the world and joining the United Nations. Even the Quebec Liberal premier of the time, Robert Bourassa, said in Paris in 1975 that he was seeking and achieving "A uniquely sovereign, entirely French Quebec in a Canadian common market." This was less than a ringing endorsement of the Canada most Canadians could recognize. The separatist PQ won anyway with Lévesque in 1976 and the long-promised referendum of 1980 asked Quebecers to authorize the Quebec government to negotiate the independence of Quebec from Ottawa with continuing freedom of trade and movement with Canada. Pierre Trudeau led the federalists with Jean Chrétien and the-then Quebec Liberal leader Claude Ryan, former publisher of Le Devoir, as his chief collaborators. The federalists won 59.6-40.4 per cent in a turnout of 86 per cent of the voters. The French-speaking vote was split about evenly. Trudeau had promised a charter of rights and a constitution of Canada to be amended in Canada, and he delivered that, with considerable difficulty and without the agreement of Quebec (which took great umbrage but had not, in fact, been bargaining in good faith), in 1981. Brian Mulroney came to office in 1984, and Lévesque opted for the "beau risque" of trying to renegotiate within Confederation with the Mulroney government. Lévesque was purged by the party he founded, Bourassa made one of Canada's more noteworthy political comebacks, the Meech Lake constitutional settlement of a partial decentralization was agreed, but blew up after Bourassa invoked the Notwithstanding Clause to revoke a Supreme Court decision defending bilingualism in Quebec, and the Trudeau-Chrétien forces attacked the arrangement as making too many concessions to the provincial governments. The Charlottetown agreement on a substantial decentralization, put to a countrywide referendum in 1992, was defeated by 54 per cent of Canadians, though it had been approved by the federal parliament and all the provincial legislatures. Bouchard, Mulroney's most prominent Quebec MP, deserted the government, founded the separatist Bloc Québécois, and led the 1995 referendum campaign in Quebec after Parizeau was elected premier. It was a slightly more explicit separatist question than Lévesque had posed 15 years before. Chrétien was over-confident, mishandled the campaign, and gave a slightly panic-stricken appeal to Quebec voters on referendum-eve. It was 50.6 to 49.4 per cent for the federalists, a clear separatist victory for the French Quebecers, and the turnout was 93.4 per cent. Chrétien somewhat redeemed himself with the Clarity Act of 1999, based on the results of a Supreme Court referral, which held that any secession had to be on the basis of a substantial majority supporting a clear referendum question to secede. (I was one of those who urged that the Act also provide that any county in a seceding province that had voted not to secede and was contiguous to another province, should secede from the province and remain in Canada. My precedents, though I never got to cite them, were West Virginia and Ulster.) Lucien Bouchard lost interest in the idea of independence, and the Liberal party has governed in Quebec for 13 of the past 15 years. The present premier, Couillard, is the most unambiguously federalist Quebec premier since Jean-Jacques Bertrand in 1970, and it will not be long before he is missed by those in Ottawa who declined to discuss these issues with him. If he is out on Monday night, Couillard's successors will blow a cold wind on Ottawa and across Canada just as the Trudeau government appears to be set to break up the relationship with the United States, and our automobile industry prepares to repatriate to the U.S. Justin might do better as the next leader of the Quebec Liberals.